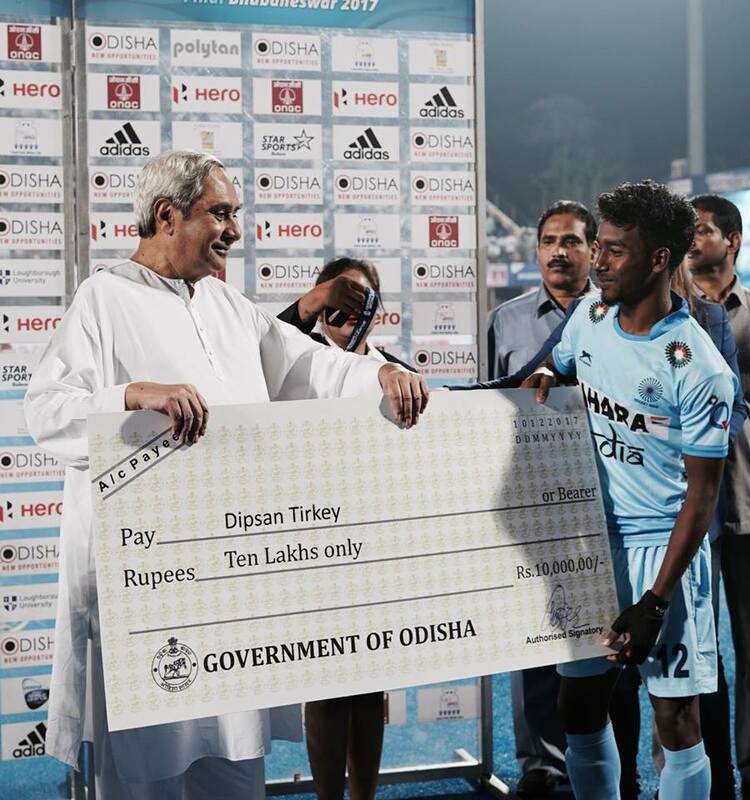 Bhubaneswar: Chief Minister Naveen Patnaik felicitated and awarded Rs 10 lakh cheques to each players of Team India and coach of the hockey team this evening after win against Germany. 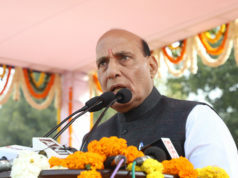 He lauded the talented young team. 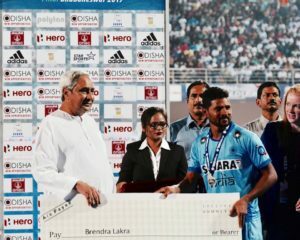 Chief Minister Shri Naveen Patnaik presented medals to Hockey India the bronze medal winners of #HWL2017. 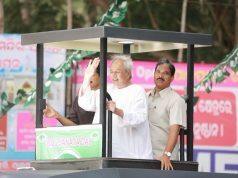 Naveen also awarded Rs 5 lakh cheques to each support staff after India clinched bronze against Germany in the Final clash. 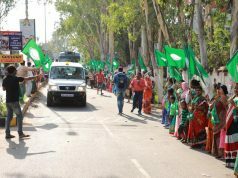 On the occasion, Odisha Sports Minister Chandrasarathi Behera, Governor SC Jamir, Union Sports Minister Rajyavardhan Singh Rathore, Petroleum Minister Dharmendra Pradhan and other dignitaries of the sports fraternity were present. India reclaimed the bronze medal at the Hockey World League (HWL) Final after eking out a close 2-1 win over a depleted but spirited Germany in the third-fourth place classification match here on Sunday.